Celebrated composer Kanno Yoko has composed the opening theme song to the 62nd NHK Kohaku Uta Gassen. 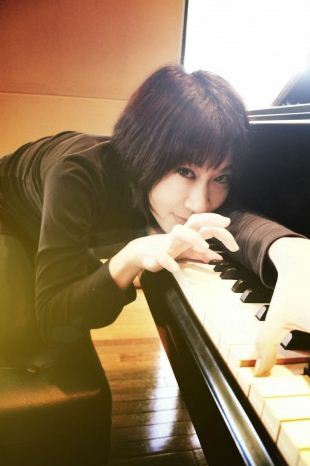 Kanno is known for scoring a multitude of popular anime series, such as "Macross F", "Sousei no Aquarion", and "Ghost in the Shell". The bright, hopeful opening theme serves an important purpose -- it will play during the opening segment by Kohaku hosts Arashi and actress Inoue Mao, as well as during the artist introductions. Kanno commented, "I was given the great task of expressing the rhythm in the numbers '1231', its youth, and the singing matches... I'm so happy to have been able to assist in the opening of a stage of dreams." Meanwhile, it was also revealed that actresse Ono Machiko (who serves as the lead in NHK's TV short "Carnation" and had previously co-starred next to red team's leader Inoue Mao in "Ohisama") will� be appearing as a special guest alongside� singer Shiina Ringo, who sang the theme song for the drama. This marks the first time that Ono and Shiina will appear on the same television program. Official performance order revealed for this year's 'Kohaku'! Morning Musume reveals longer version of "Pyoko Pyoko Ultra"!